Hello my stampy friends!!! Hope everyone is enjoying the crisp fall weather! It has been beautiful here!! So when I saw the inspiration board for our new Card Concept Challenge, I was super happy! I die cut the pumpkins, acorns and leaves with watercolor paper and sponged them with distress inks. I just loved the way they turned out! The sunflowers were colored with Zig markers. I had extras , so I made another card! I'm not sure which one I like best??? 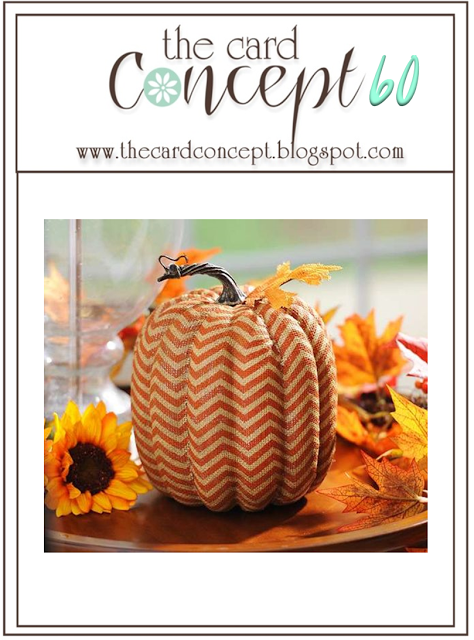 Lovely cards with the beautiful pumpkins and flowers!! Pretty paper and great design, too!! I like your pretty cluster of autumn elements Mackie, this is pretty!! Another big winner, Mackie! 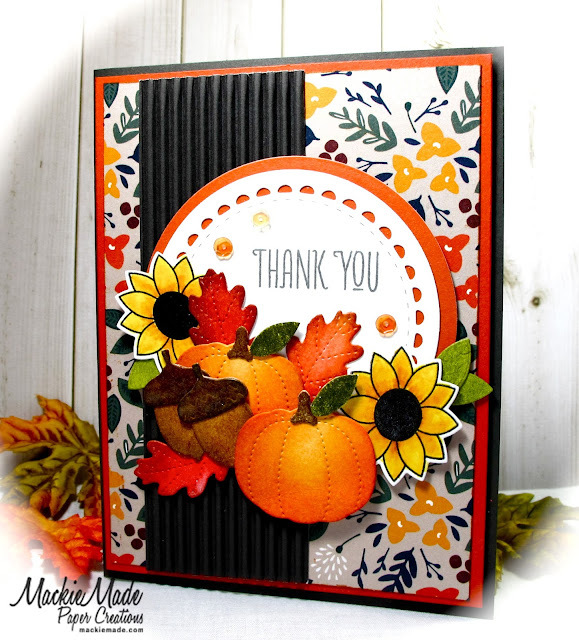 I love how you incorporated the texture and color to make such a pretty autumn card! Very pretty! Um, I love them both!!! 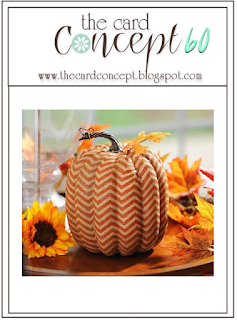 Those watercolored pumpkins are just a wow! Beautiful cards Mackie! Love all the vibrant pumpkins and foliage! Hope you have a great Sunday! Oh my gosh!! Both cards are so gorgeous. I love the rich colours you have used and your layout of elements is so beautifully balanced.